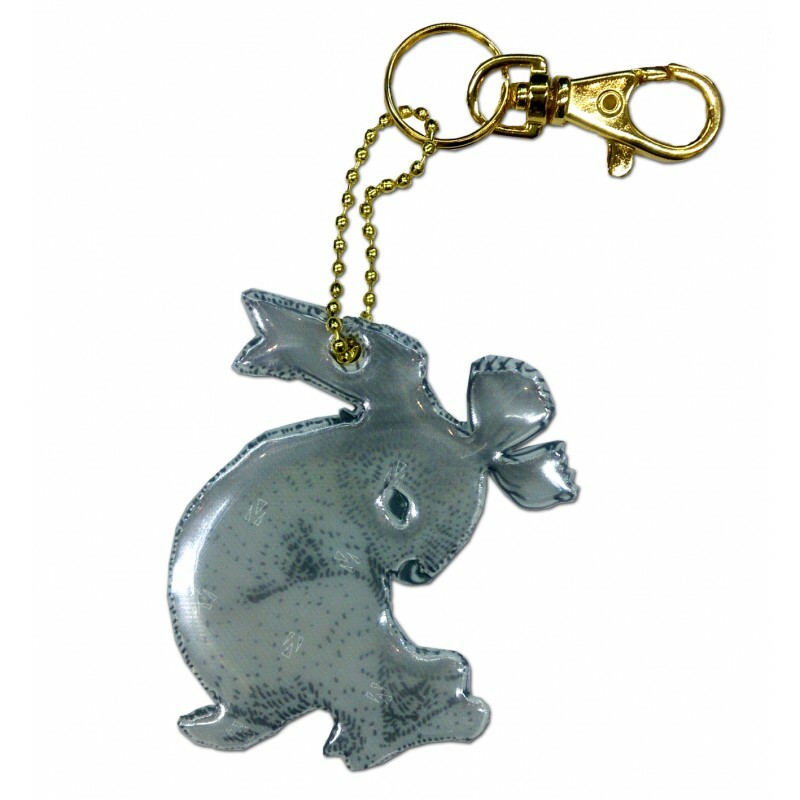 Lovely Bunny soft reflector for the cuddliest ones. You can attach the reflector with gold colored parrot lock and 10 centimeter ball chain. Measurements for the Bunny reflector: width 4, 5 cm x height 7,5 cm. Reflector material is 3M Scotchlite High Glass. Material: Reflector material is 3M Scotchlite High Glass. The Coefficient of Luminous Intensity (CIL) of is over 1000 (according to CE standard EN 13356, the minimum requirement for reflective value is 400 CIL).